More PVP Offices and more crops/species covered! for FREE until June 2018! An on-line tool to help you obtain protection for your varieties at home and around the World. Quick and easy transmission of application data for Plant Breeders’ Rights. 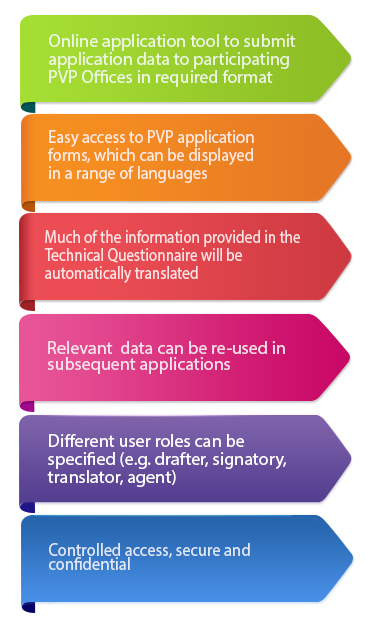 Easier to protect your plant varieties by giving you one-stop, online access to application forms via a multilingual interface. Currently covers 21 countries and the European Union and is GROWING!